Trainspotting boomed and peaked in the post-war years. 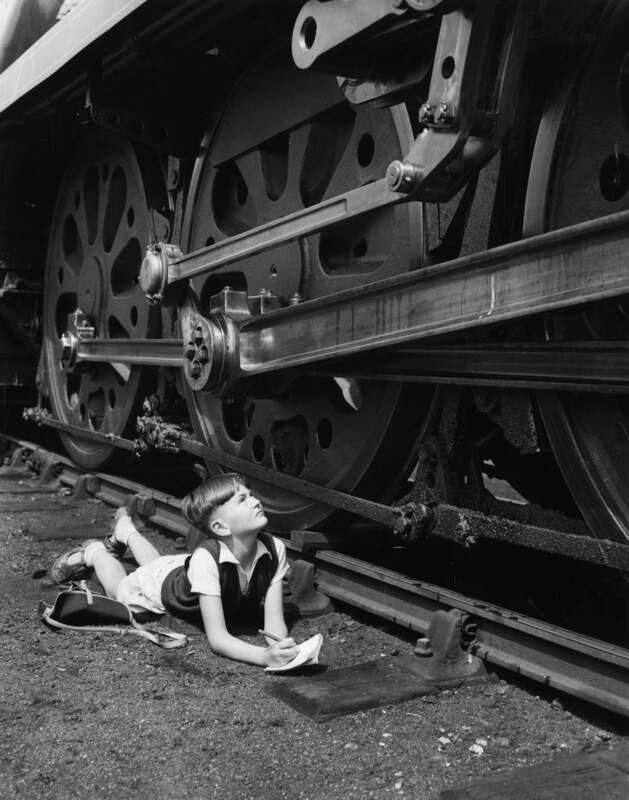 But even when tens of thousands of boys – and it was mostly boys – were spending their free time spotting trains, it remained an awkward hobby, an activity on the social fringes derided and sneered at by the knowing. That lack of acceptance should make trainspotting cool. Maybe it it. 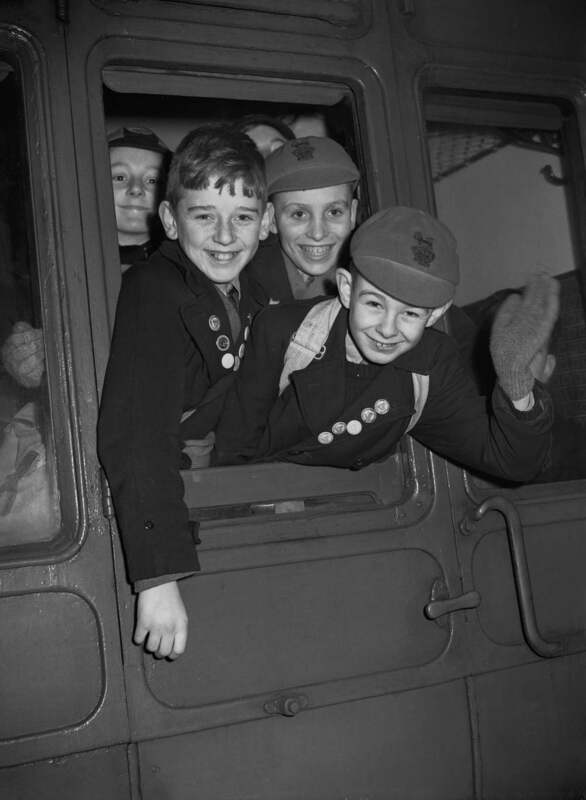 By the 1950s, trainspotting was extremely popular and many unaccompanied youngsters could be found at stations. Some authority figures wanted to ban the hobby as they were concerned about the potential for juvenile delinquency. 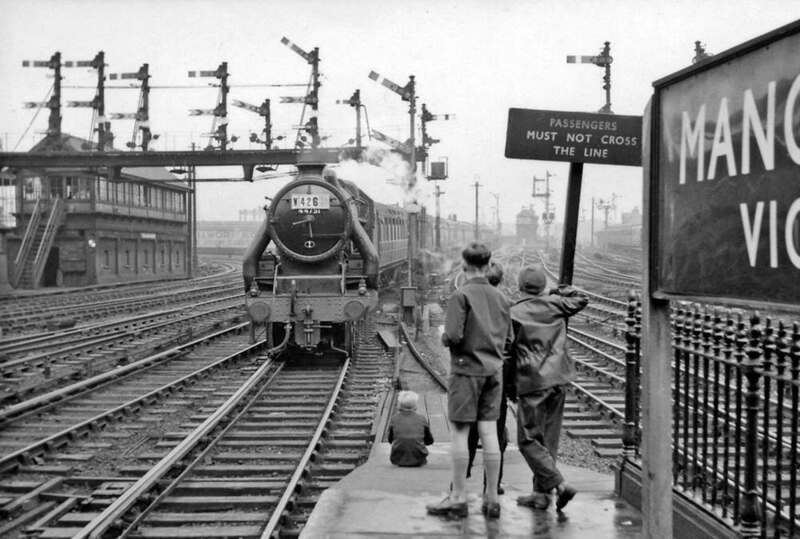 When Willesden Junction closed to spotters in June 1954, it was suggested that this potentially affected up to half a million spotters. 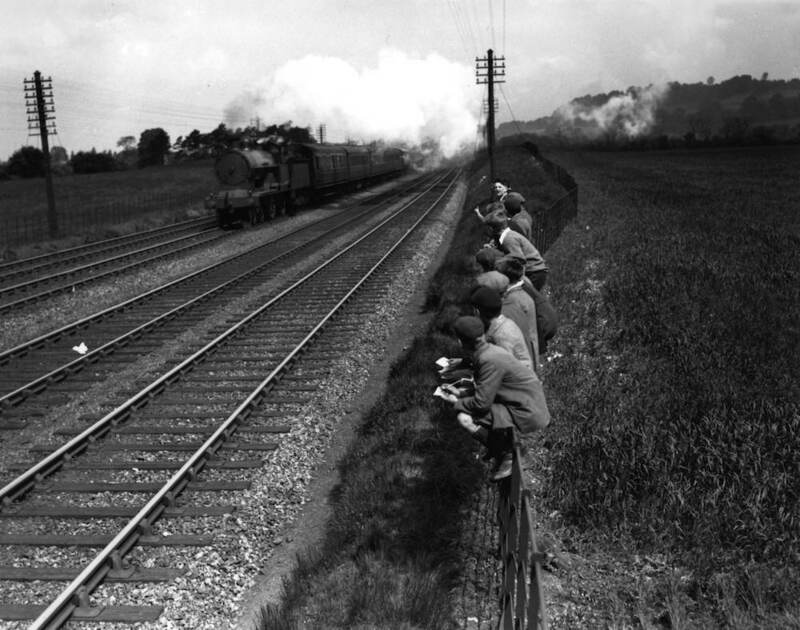 But the catalyst for the trainspotting fad was Ian Allan, who in 1942 published the first ABC spotter book and in 1948 created The Ian Allan Locospotters’ Club. Trainspotting began in 1942 when Mr Allan was a 19-year-old trainee in the public-relations office of the Southern Railway at Waterloo. 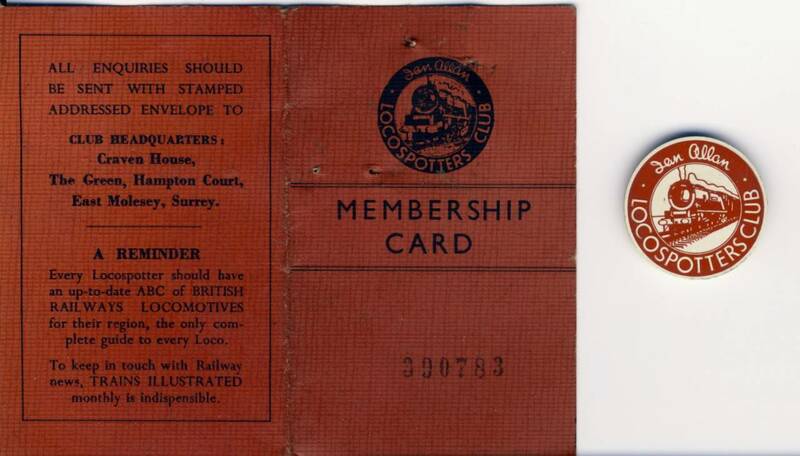 Tired of replying to letters from railway enthusiasts demanding details of locomotives, he suggested that the office produce a simple booklet listing their vital statistics. 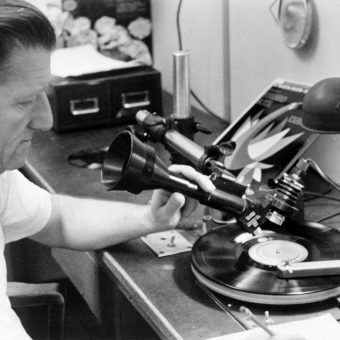 His boss was not interested, so Mr Allan decided to do it himself. 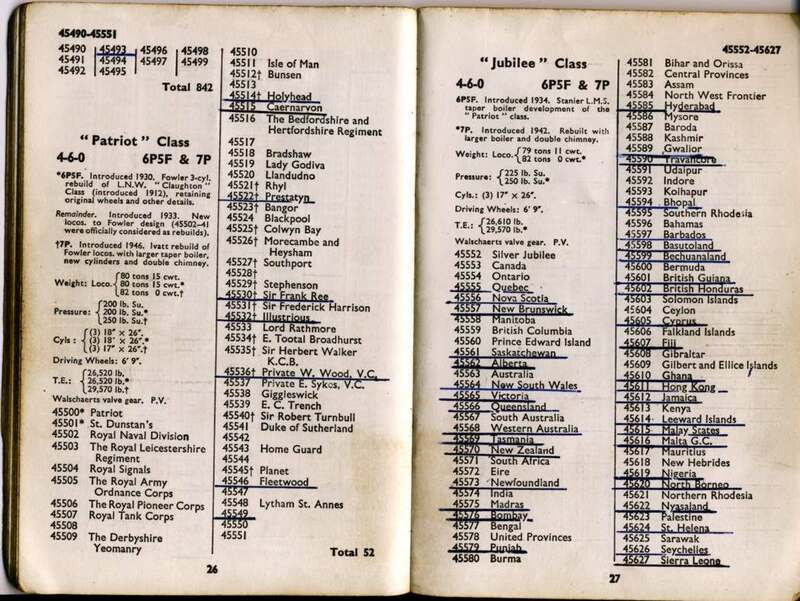 The ABC of Southern Locomotives was a simple pocket- sized index of engine numbers and types. At a shilling each, 2,000 copies sold out immediately. ABC guides to other railway companies soon followed. 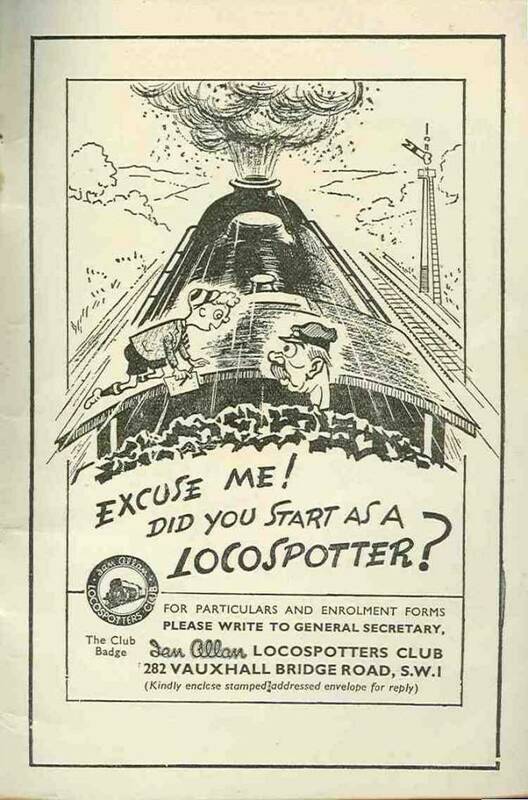 Locospotting – Mr Allan’s preferred phrase – was identified as a phenomenon in 1944, when a group of adolescent boys were arrested on the tracks at Tamworth, the nearest station on the west coast main line to Birmingham. 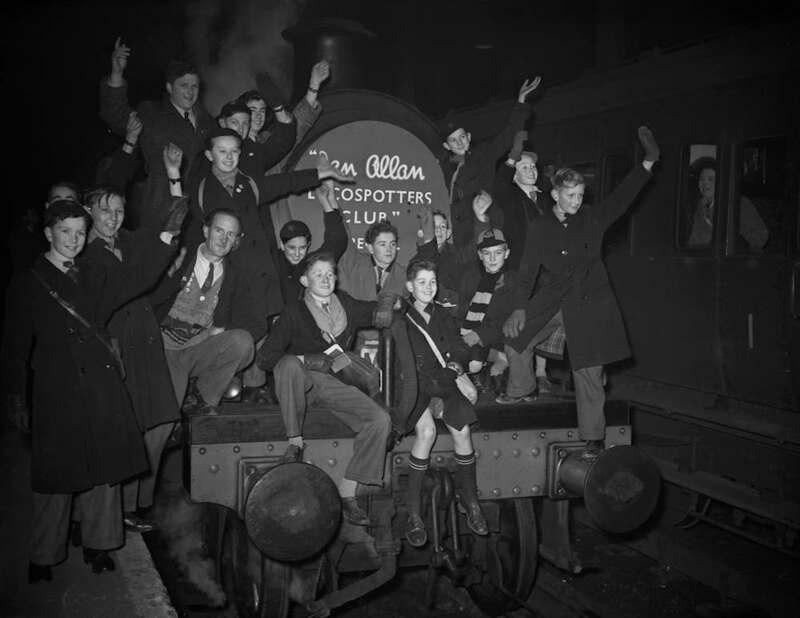 Partly in order to teach safety to young spotters, Mr Allan started the Loco- spotters Club. By the late Forties it had a quarter of a million members. 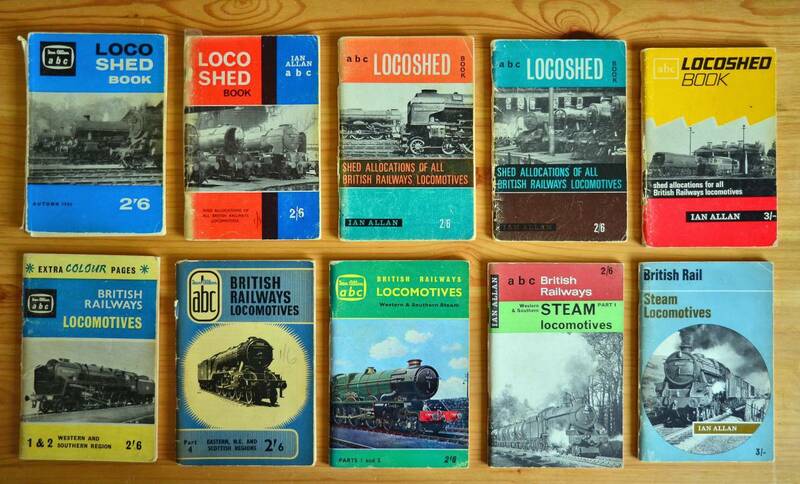 In the Fifties and Sixties a million ABC guides, listing 20,000 locomotives, were being sold every year. The police had to be called in on holidays to keep spotters in order at such key stations as Willesden, Clapham Junction and Tamworth. Allan mused on why people mock and even hate trainspotters? Dr Uta Frith of the Medical Research Council’s Cognitive Development Unit, has said that trainspotters and other obsessive collectors of trivia, may be suffering from Asperger’s Syndrome, a mild form of autism. 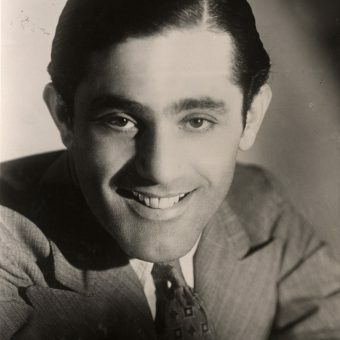 The syndrome, identified by a Viennese doctor shortly after the Second World War, is characterised by social ineptness, an over-literal and pedantic approach to language, a lack of sense of irony or humour and obsessively pursued hobbies – finding, as it were, safety in numbers. You see. 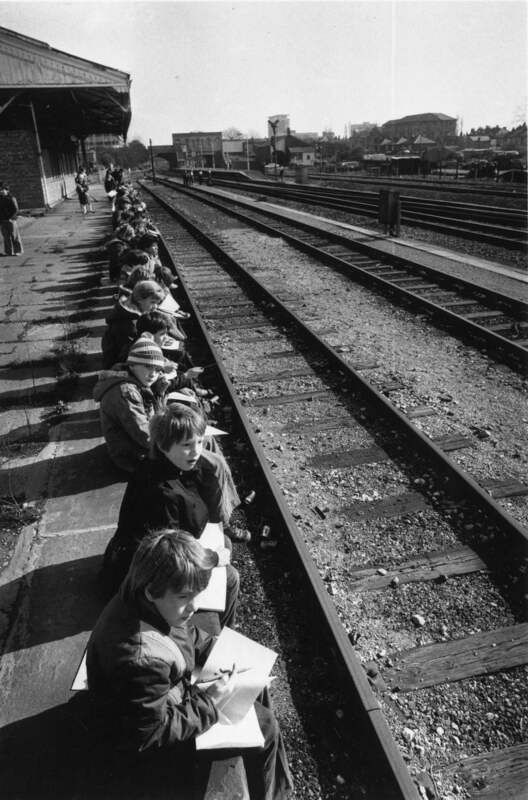 Trainspotters are ‘lacking’. They do not have more; they have less. 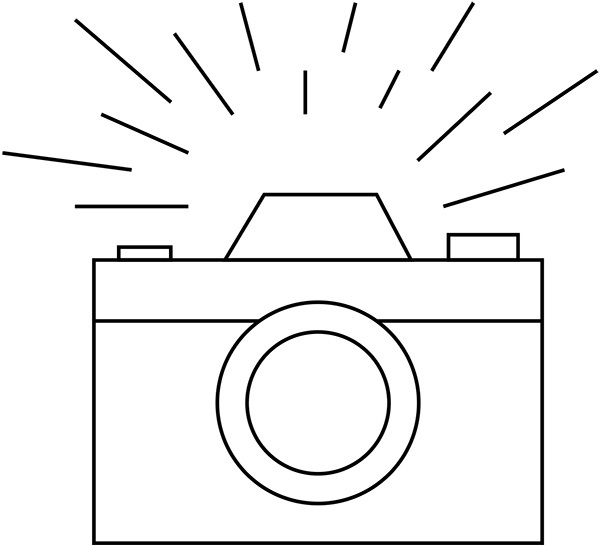 One day, as I was standing at one of my regular spots, I noted the approach of a light engine. The fireman was gesticulating at me to change some hand points, which I duly did with some difficulty. As the loco pulled alongside, the crew indicated that I should get aboard. We went round the angles and finally parked up alongside the north side of the shed under the water tank. The crew then departed and asked me to “look after” the loco for them. After a short while I realised they were having me on and I beat a hasty retreat before the shed foreman put in an appearance. The inspiration for my gang’s name, The Red Hand Gang, was obvious. Whenever I returned home after a days climbing all over the ranks of condemned locomotives, my palms were always covered in rust. Any visit to Barry scrap-yard meant trying to get along the rows of engines without ever touching the ground. Why I can’t remember, unless this qualified as cabbing everything in the yard. Rusting handrails, warmed by the sun, allowed you to swing along the sides of engines for hours, stopping only for lunch and some sausage sandwiches, covered with red fingerprints. This ensured our age group never had any iron deficiencies. Bunking sheds came with varied success. Aston shed was notorious for getting caught and being ejected from. Even ducking down under the booking-in window and making a dash for the lines of Brits and Scots usually ended in tears. That was until my Mum offered to take me there one Saturday when she persuaded the shed master to let me have a guided tour. I was famous at school and everyone wanted a Mum like mine. 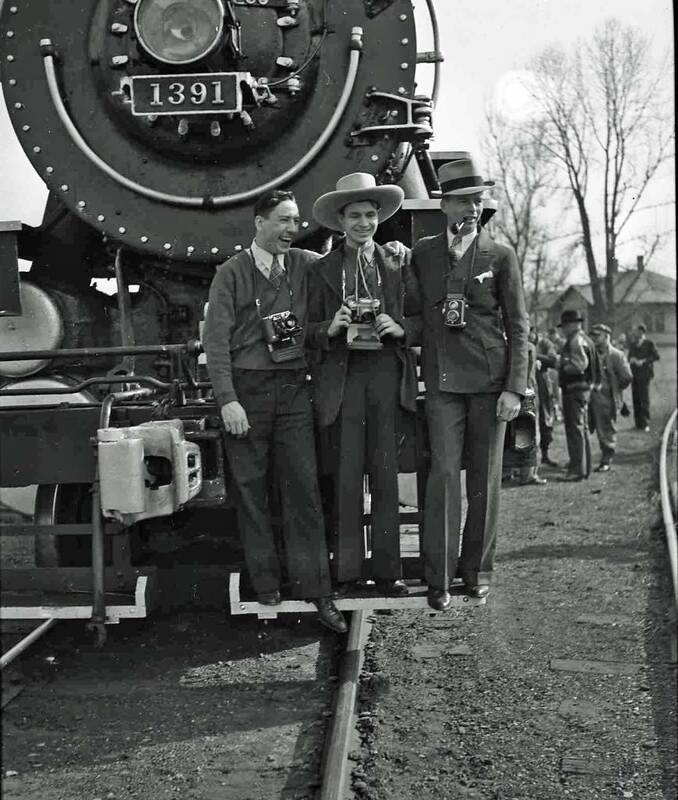 Railfans on a 1939 camera excursion train. This photo may have been taken in Thurston, Ohio where there was a Y. “Did you get it?” I was asked the next day. “Yep” I said as casually as I could. “Well that’s odd ‘cos I saw it” I insisted, rather unconvincingly. Well lying is one thing but dishonesty is another. I never did underline it in my Ian Allan spotter’s book. That would be sacrilege. As for train spotter’s fashions? 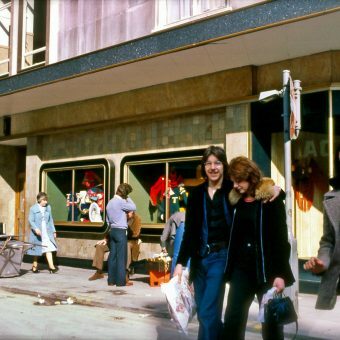 By the very nature of the hobby, boys donned sensible pullovers, knee- length short trousers, or thick denim jeans with turn-ups (turned down as legs grew longer) and duffel coats fastened by wooden pegs instead of buttons and, dare I say it – anoraks – ouch! Of course, boys still liked to play games of fifteen-a-side soccer and a marathon round of hop-scotch in the street, but as soon as we developed an irresistible urge to swap and collect – birds eggs, used stamps, old coins, and cigarette cards – then it was only natural that engine numbers figured high on our list of priorities. Even better, it didn’t require a huge financial commitment, which made all the difference in the post-war Fifties. It probably explains why hard-up parents gave the hobby a universal thumbs-up.